SLS Therapy Individual, Couples, Family, Medical and Group Therapy provided in a nurturing, comfortable, and compassionate setting. Staci Lee Schnell is happy to provide you with a receipt for you to submit to your insurance company for reimbursement provided you have a reimbursable diagnosis. It is your responsibility to contact your insurance company and to be fully aware of the reimbursement policies that you are eligible for. Staci Lee Schnell, M.S.,C.S.,LMFT, SLS Therapy, Inc., and the Counseling and Wellness Center of South Florida do not accept assignment of benefits (get reimbursed from insurance companies), nor do they participate in managed care insurance plans (HMOs, PPOs, etc.). Staci Lee Schnell, M.S., C.S., LMFT is an Out of Network Provider. Please realize that your insurance is a contract between you, your employer and the insurance company. 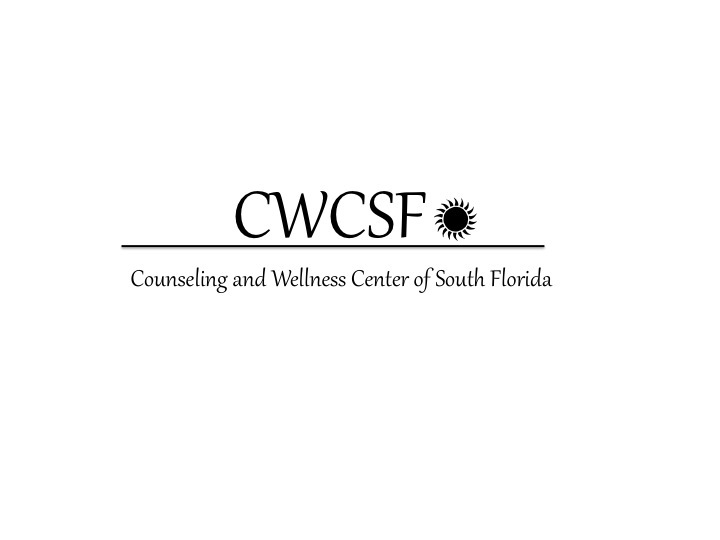 Staci Lee Schnell, M.S.,.C.S.,LMFT, SLS Therapy, Inc., and the Counseling and Wellness Center of South Florida are in no way a party to that contract and thus have no legal or financial power to cause proper exercise of benefits contracted for.